What a week! Well, two weeks actually. This was definitely one of my best sales periods ever. I sold 20 items on eBay, an average of about one and a half items a day. I usually do half that, and sometimes less. These weren’t all small sales either – 8 items went for 100$ or more. I wonder if the time of year has something to do with it. The warmer weather seems to energize people, perhaps leading to more sales. However, the fact that I had (not anymore!) more listed on eBay than ever before surely had something to do with the hot streak as well. Aside from that, I also received a very generous donation of 500$! It came totally out of the blue, and was obviously much appreciated. The donor felt inspired by one of my recent posts and decided to pay it forward. It’s good to know that people like what I do, and moments like these more than offset the bad ones (such as the occasional negative comment on a message board). 1. 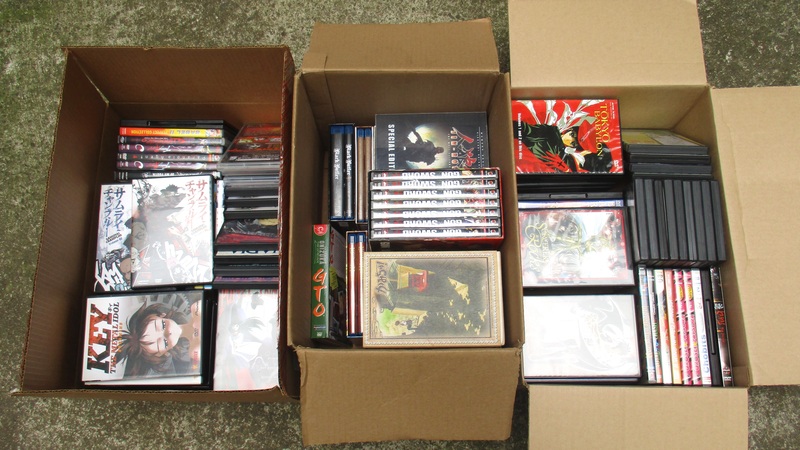 Anime collection: To a reader for 120$. To clarify I did not sell the entire collection, just the titles I decided not to list on eBay. The buyer got a pretty good deal, and I no longer have to store them. Found with my sister last October in the Plateau. 2. 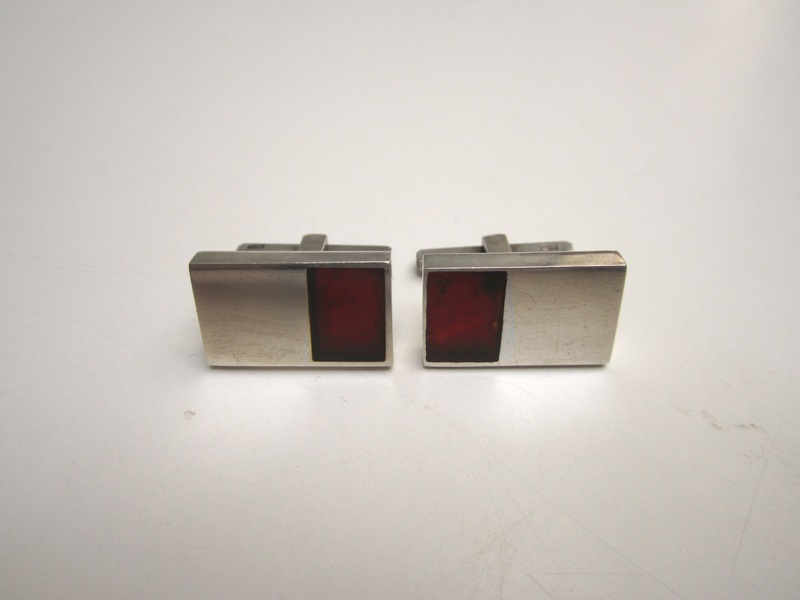 Marcin Zaremski sterling silver and inlaid amber cufflinks: On eBay for 81$. These were made by a Polish modernist designer. Found in Westmount in June 2015. 3. 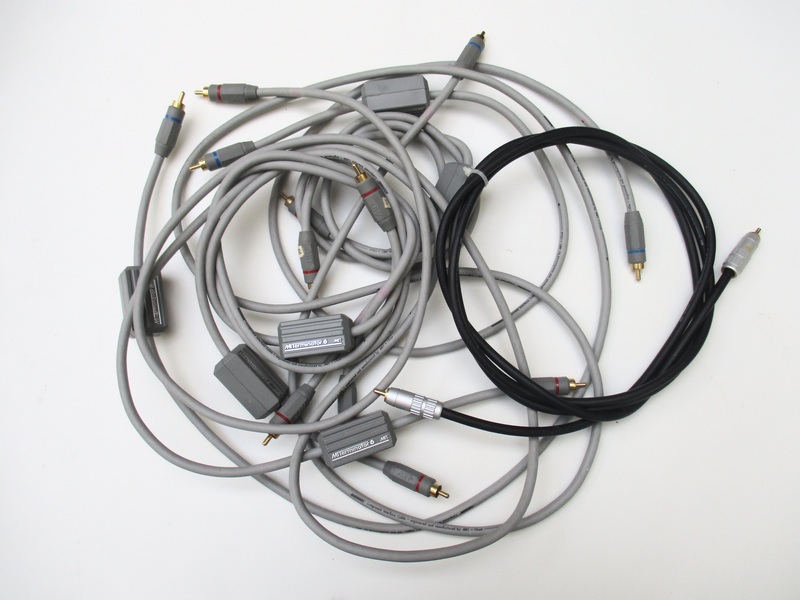 Lot of vintage MIT audio cables: On eBay for 125$. These MIT cables are apparently fairly desirable – check out the prices some are going for on eBay! Mine weren’t the super valuable ones, but they still netted me a nice amount. Found last fall in TMR. 4. 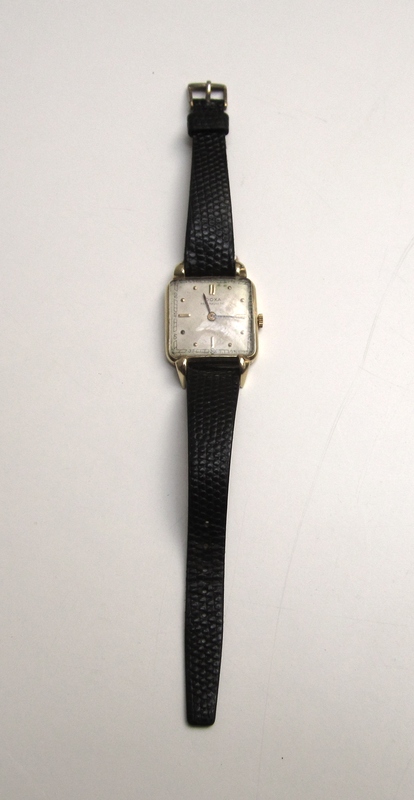 Vintage Doxa watch, 14k gold case: On eBay for 175$. This took a while to sell, largely because my starting price was too high. I’m happy with the final outcome though. It may have been worth more if the innards were original, but the old mechanical movement had been replaced with a quartz which made it less desirable for collectors. Found March 2015 in Hampstead, in what was one of my most profitable spots of the year. 5. 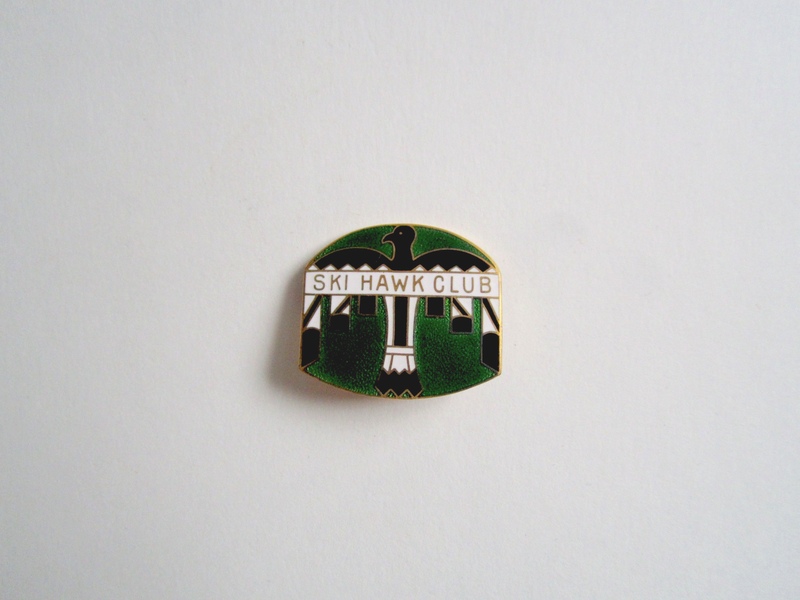 Vintage Ski Hawk Club pin: On eBay for 20$. This sold shortly after I mentioned it on the blog, so I expect one of my readers got it! Found a few weeks ago in Montreal West. 6. 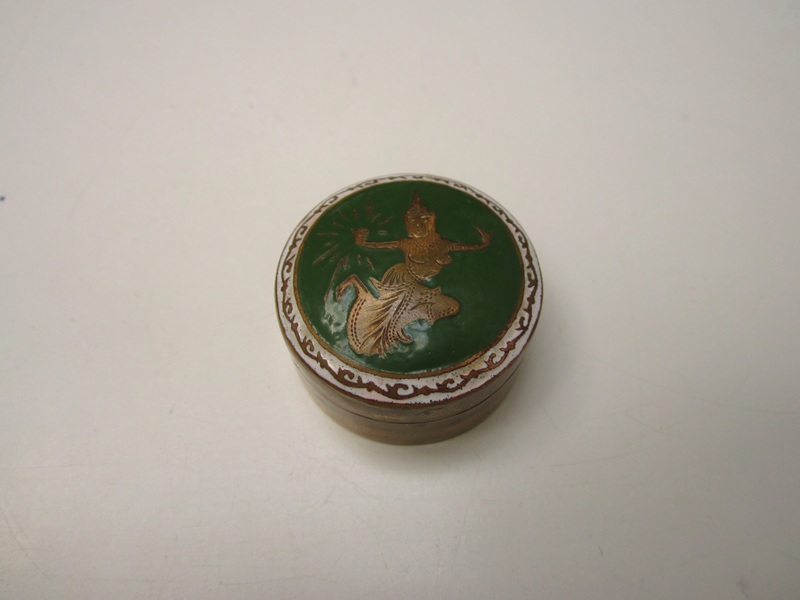 Vintage enameled pill box, made in Siam: On eBay for 22$. Found in Westmount in May 2015. 7. Texas Instruments PC-100C print cradle, with calculator: On eBay for 150$. This was a neat find, one I made just a few blocks from my house. 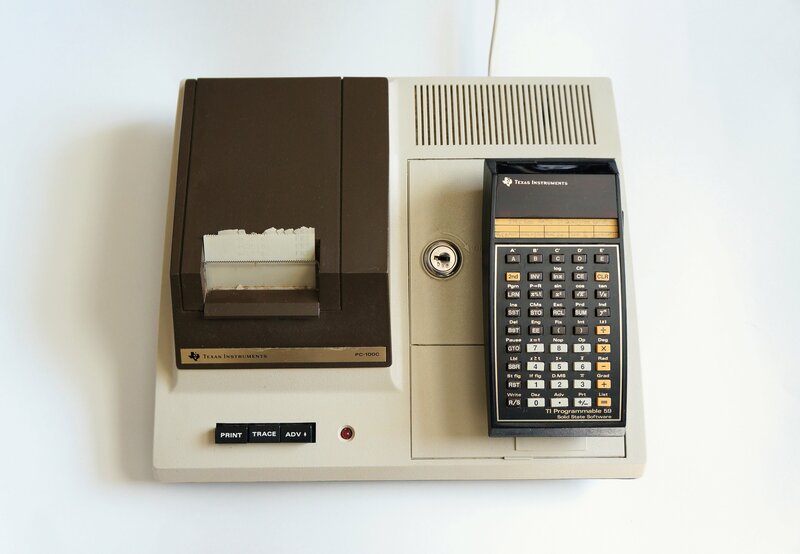 It came with a TI-59 calculator, which was one of the first programmable calculators to reach the market. It worked fine, and after a bit of cleaning with a microfiber cloth I listed it on eBay. It sold within a week, and the buyer just left me some nice feedback. I love old electronics, and get a kick out of finding them – especially when I can flip them for a nice profit. Found a few weeks ago in the Plateau. 8. 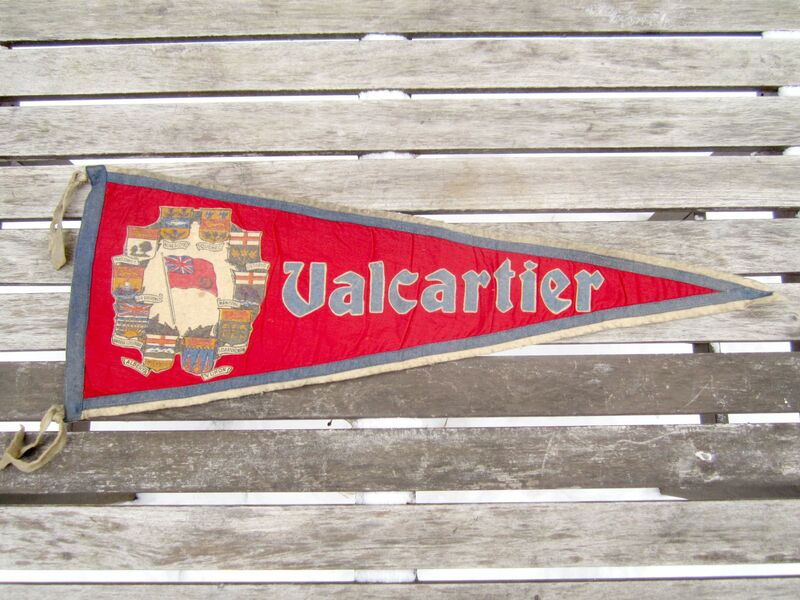 WWI-era CFB Valcartier pennant: On eBay for 165$. This was one of the more valuable pennants from that collection I found early January in Montreal West. 9. 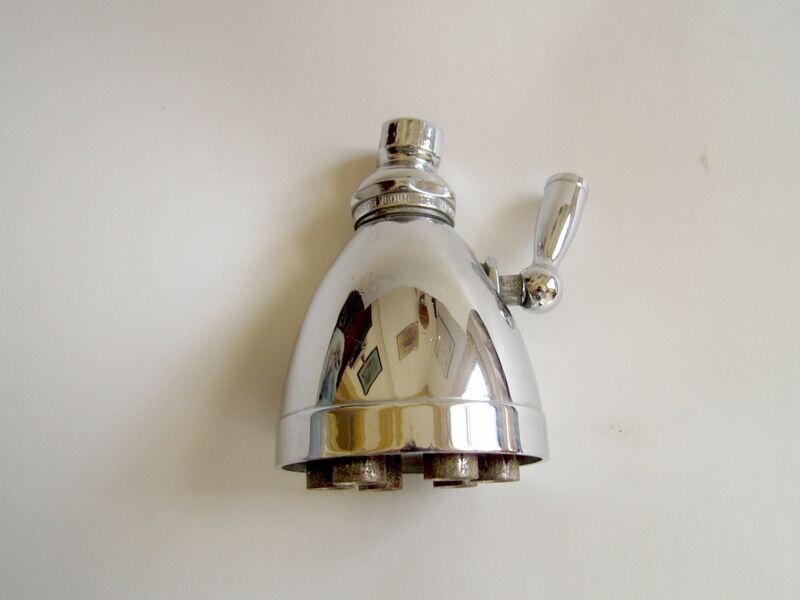 Vintage 1950s Speakman Anystream shower head: On eBay for 210$. It took me a while to get this thing listed, largely because I wanted to clean it up with some CLR first (and was hoping to find some in the garbage). I finally got around to doing it a month or so ago, and now it’s out of the house for a very nice price. Found April 2015 in Hampstead. 10. Faberge perfume: On eBay for 45$. Found in Westmount in May 2015. 11. Tenjho Tenge DVD set: On eBay for 50$. Another anime DVD set from the batch I found back in October. 12. 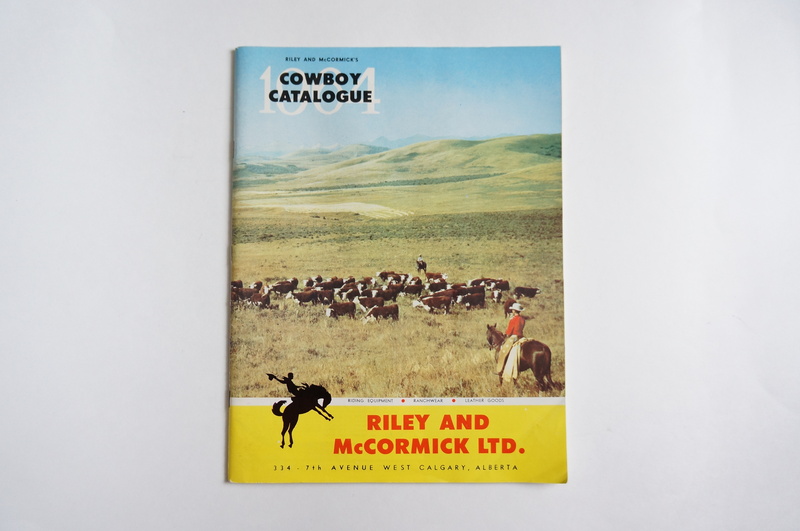 Riley & McCormick 1964 Cowboy Catalogue: On eBay for 42$. The buyer was from Calgary, and had the same last name as one of the store founders. Found last summer in Westmount. 13. 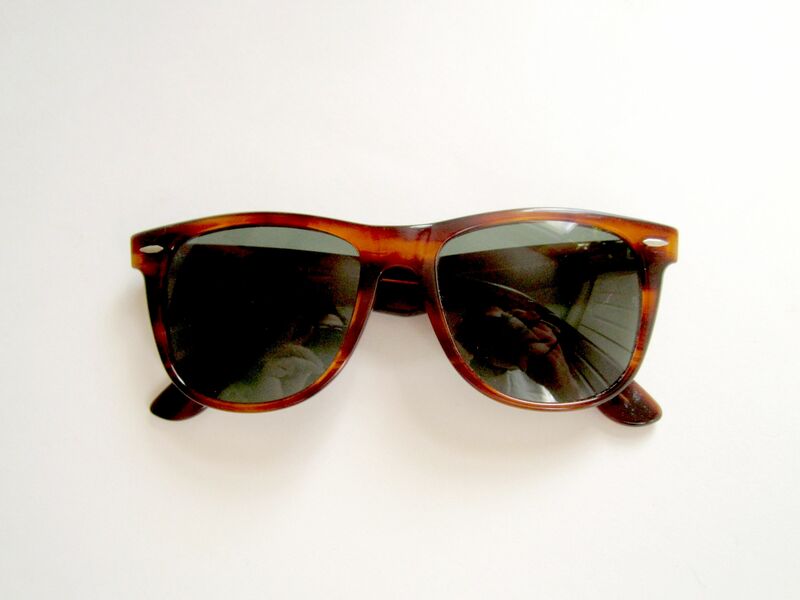 1980s Ray-Ban Wayfarer II sunglasses: On eBay for 100$. Found a little over a month ago in TMR. 14. 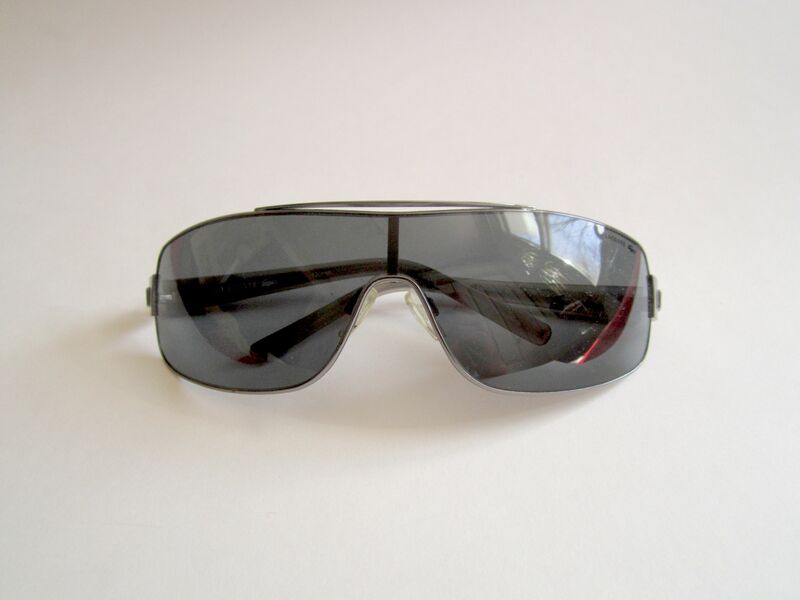 Lacoste sunglases: On eBay for 70$. Tossed recently by the privileged folks in TMR. 15. 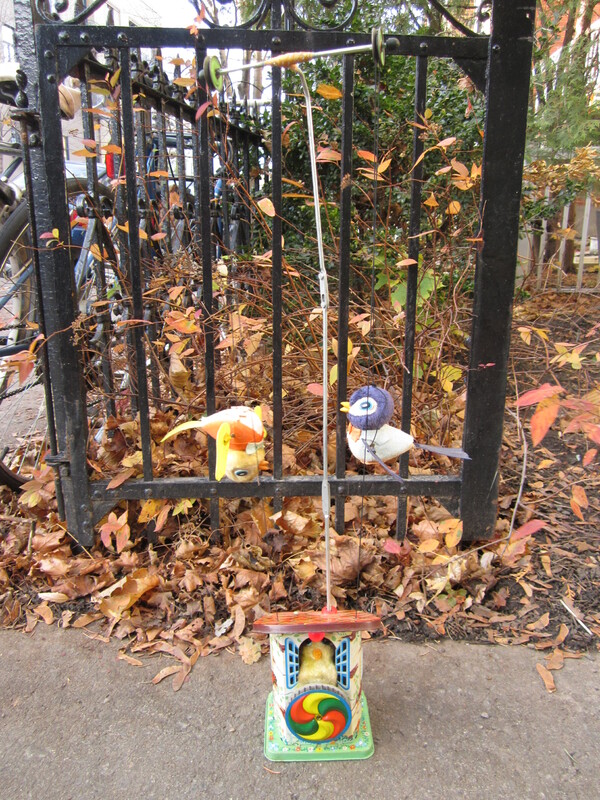 1950s ALPS “Flutter Birds” tin toy birdhouse: On eBay for 100$. This was in nice condition, but the birds needed to be re-strung. I didn’t have the patience to do it myself, so I sold it “as is.” Found late fall in TMR. 16. 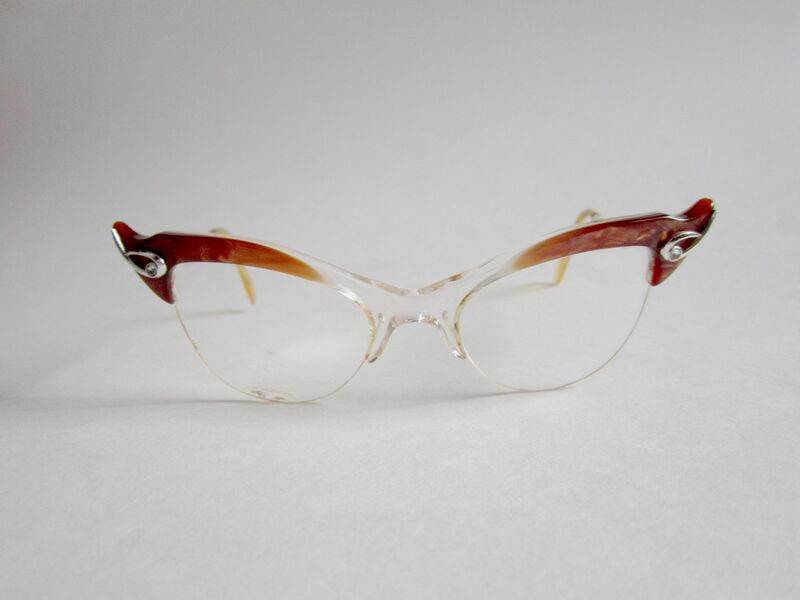 Michael Birch cat-eye glasses: On eBay for 55$. Found maybe nearly two months ago in NDG. 17. 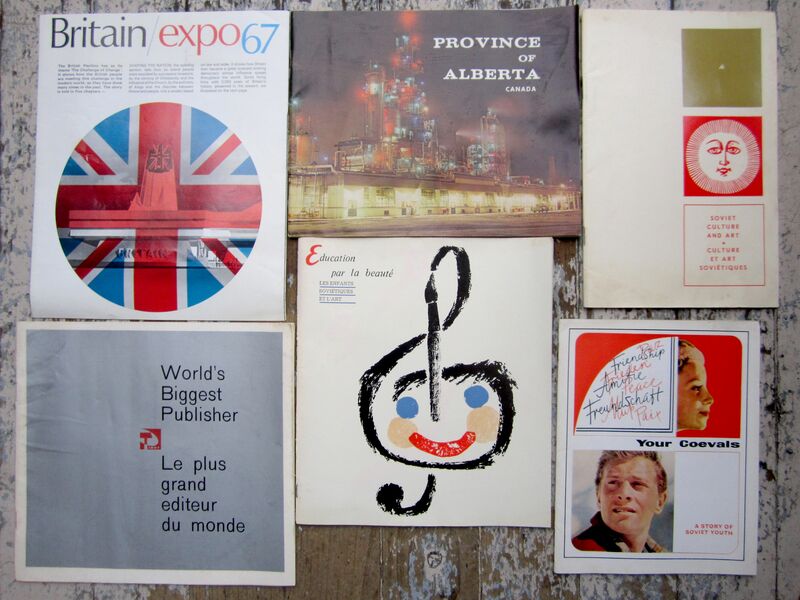 Lot of Expo 67 publications: On eBay for 80$. More of the lot can be seen here. Found mid December in TMR. 18. 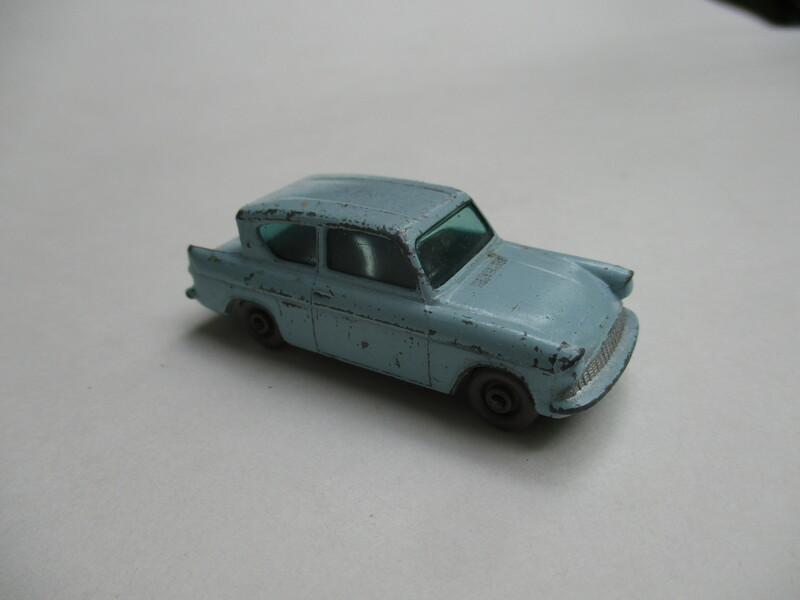 Ford Anglia toy car: On eBay for 17$. Found last fall in NDG. 19. 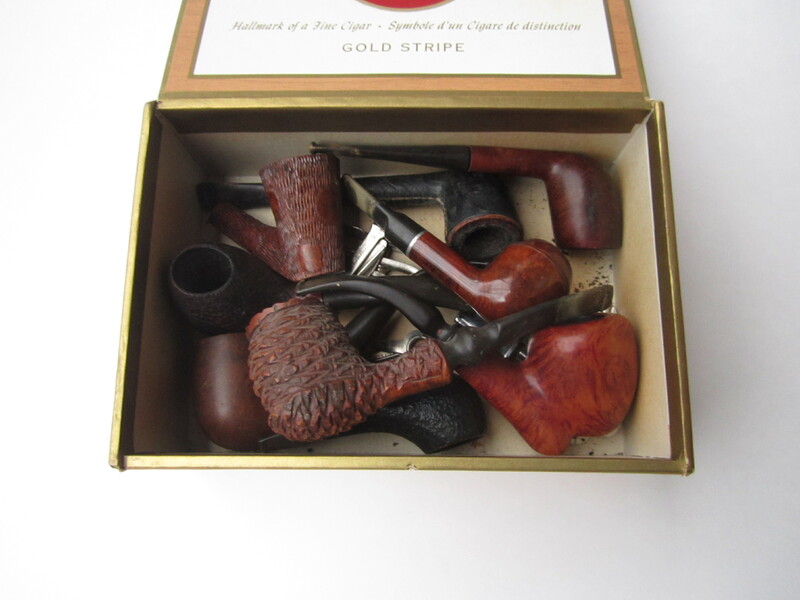 Collection of tobacco pipes made by Shalom of Israel: On eBay for 85$. Found in Cote St-Luc back in December. 20. 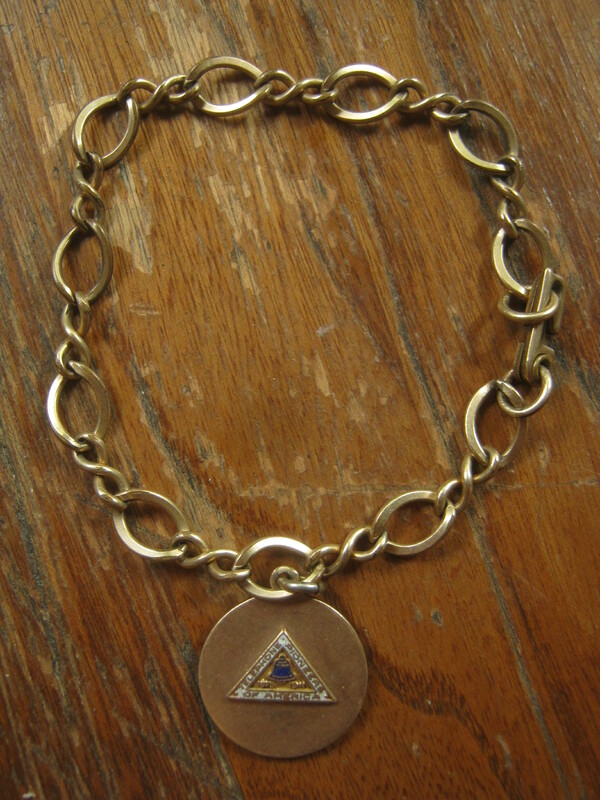 Telephone Pioneers of America charm bracelet: On eBay for 15$. Found amongst a large collection of miscellaneous baubles a few summers ago in Rosemont. Also a great example of how much better my photography has gotten over the years. 21. 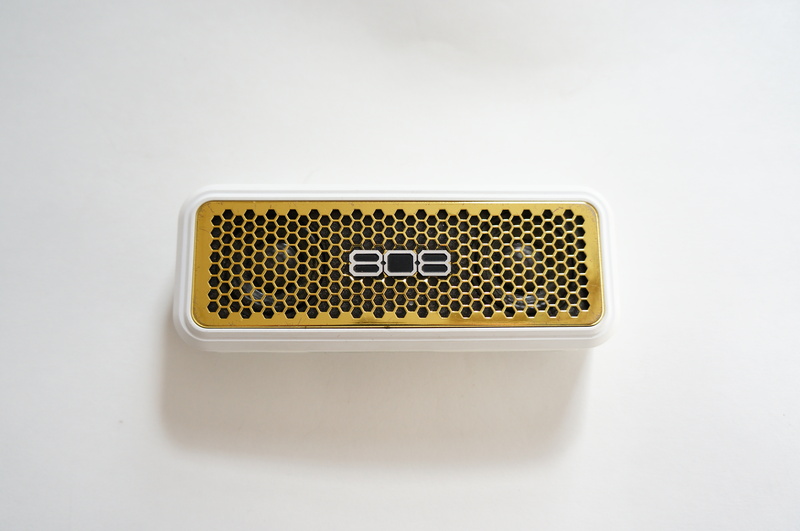 Audio Hex bluetooth speaker: On eBay for 27$. Found a few weeks ago in TMR. Total: 1754$, 5355$ since the new year. If I could somehow keep up this pace for the full year I’d make over 40k. Not going to happen though! Regardless, I am currently on pace to meet my goal of 24k for the year. I love reading your blog, not only for content but for your writing style. BTW, I live near New Bedford, MA, and there’s a beautiful whaling museum here. If you can’t ID your scrimshaw tool posted a few entries back, perhaps one of the curators can do it. Great to read about all of these sales and get a visual sampling of the amazing variety of objects you have re-claimed from the waste stream! Thank you, as always, for taking the time to create this blog post. I’m continually amazed by what you manage to keep out of the landfills so it makes me sick to think what ends up in landfills across the globe. Specifically what caught my eye this time is the cufflink artisan-made set that could have so easily escaped notice due to size but you managed to catch them and save them. Yup, that’s why it’s good to look around the bottom of bags. All the small things end up there. A very profitable couple of weeks! May this become a trend. The sales reflect the huge diversity of your finds. Your blog postings are highlights of any given week for me. Keep up the good work, and know your efforts are hugely appreciated by many. Maybe with the donation, you might feel like donating some of the historical stuff to a museum? I know before you seemed torn, maybe the best place for it but the not having the money. I was thinking of the German passport, but also some of the Expo 67 items. That calculator is worth between 50-75$ now, according to eBay FYI. Maybe I can make a point to share the German passport to the general public. I once assumed that the family was likely involved in throwing it out, but maybe that wasn’t the case. It could have been a janitor / concierge, or home flipper or whatever. When I posted it I was careful not to share the name of the person it belonged to. This protects the identity of those involved, but also more or less ensures that anyone who might be interested in it will never find it via search engines. I was thinking of posting new scans to the blog, in case a member of the family is out there and interested in it. I personally don’t see much point of donating it to the museum. I actually contacted the local holocaust museum, and they told me they already had 5 or 6. To me there’s little reason to give them another, which will likely just collect dust in storage somewhere. It’s more valuable to a member of that family, assuming they exist and care. The Expo 67 stuff too from what I can tell already exists in museums. I’m working on a deal for that stuff now, and hopefully it can provide me a nice windfall. In the end, I still can’t afford to give things away when I could sell them. I would probably make an exception if I found a family member of that German passport, but in general I need the cash. I won’t go too deeply into my financial situation, but the gist of it is that I still owe about 35k in student loan debt (I was not financially aware as a young person) and as of right now I am not making enough to pay anything back, or accumulate savings. In short, I don’t feel financially secure enough to give things away when I could make money from them. I think it’s time we readers take your blog to the next level and contribute together to buy you a GoPro. You have great pictures that adds so much to your blog, but wouldn’t be cool to be there with you when you come across great finds. You could use the GoPro, when you come across a large pile, when you are more likely to come across some great finds, we would also find it with you. I know great finds can happen any time, so maybe it would be too hard to know when to use the GoPro and it may not work well at night too. I sure wouldn’t mind! However, I couldn’t promise any specific contents resulting from it. I’ve never used a GoPro, and honestly have no idea how it would work. There are also potential issues, like people being more uncomfortable with me looking through trash when I’m wearing a camera, the camera catching glimpses of my locations (which can be then potentially be taken by other pickers), and the camera catching glimpses of personal information which could be used by identity thieves, or again for people to find my locations. As is, with pictures only I can photoshop out any potentially harmful information, but I have no idea how I could do that with video. That being said, I’m sure an occasional video would be possible and I’d be curious to try it out. I didn’t think about the issues you brought up, but rethinking it, you are right. I know people would enjoy seeing the finds, but we wouldn’t want to negatively effect your sources or access to your great finds. You have enough work with all you do make a living. I do think the idea has some potential. I would probably just use it sparingly, in situations I felts very comfortable in. And perhaps I would only release the footage when the flow of garbage is “spent”, so that no one could use the information to find my spots. More than anything I’m just resistant to change, and don’t like to switch up my routine. That’s not necessarily a good trait though. I would probably be a lot more popular if I were to start taking video. Do you know why MIT cables are so valuable? How were you able to recognize those cables as valuable instead of average? MIT is a pretty good school, from what I remember, so anything they make is likely pretty good too. Specifically how though I have no idea. I looked them up on eBay because they “felt” high quality, and I make a habit to look up on eBay anything that looks well made. Another great blog post; congratulations on all your sales this week. i have some signed cufflinks; i was gonna give them all away to someone who i knows still wears them, now you have inspired me to list some on ebay and see what happens! I’m intrigued by the variety of things you pick up and sell – some at astounding prices! do you keep any of this stuff for yourself, or is it strictly business? how do you decide what is saleable and what isn’t?